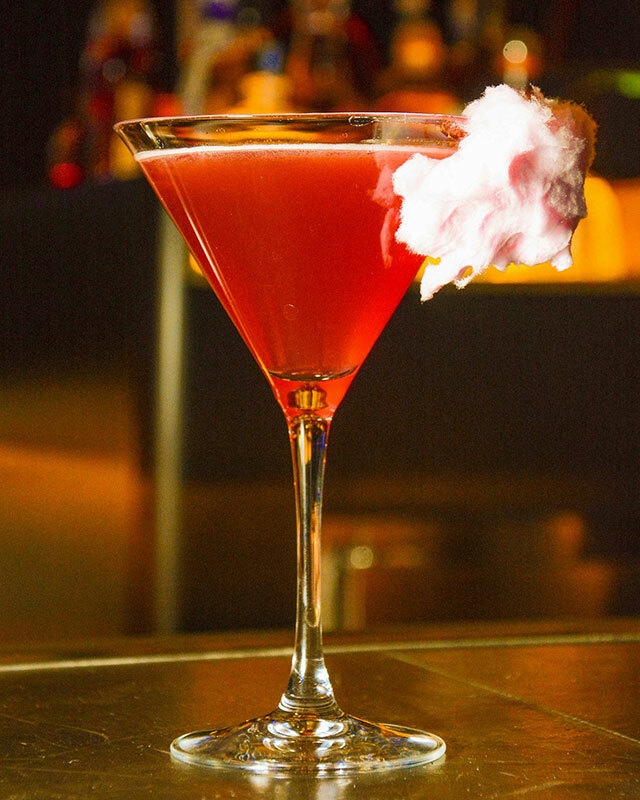 A guide to eating, drinking and doing in Las Vegas. Las Vegas, or simply Vegas, is one of the most exciting and entertaining cities in the world, where you will never run out of fun things to do or drink. 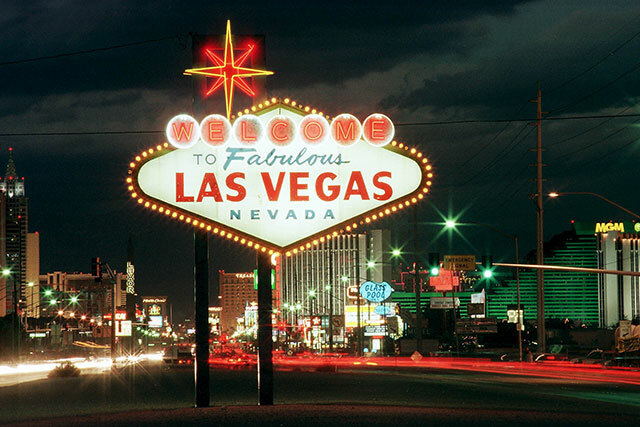 Just over four miles long, the world-renowned Las Vega strip is lined with glamorous casino hotels. Along with gambling floors, these mega hotels offer top quality entertainment, including headliner shows, concerts and nightlife. There are also a variety of shops, restaurants and bars, ranging from casual to upscale. 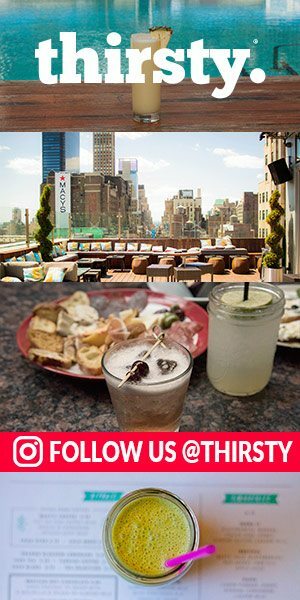 This dazzling city that has endless amusements for everyone, –especially so for cocktail connoisseurs. The luxuriously chic Cosmopolitan of Las Vegas, an Autograph Collection Hotel, is in the heart of The Strip, along Las Vegas Boulevard. 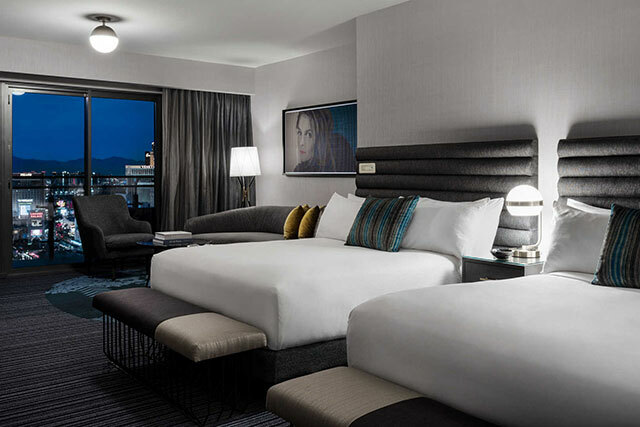 Undeniably vibrant, this contemporary casino hotel is filled with whimsical art, including the rooms and suites, and, despite its massive size, is easy to navigate. Many rooms, such as the Terrace Studio with Fountain View, have large sliding glass doors that open onto a private wraparound terrace with unobstructed views of the Las Vegas skyline. Each room features comfy beds, with deluxe bedding and plenty of plush pillows, marble-floored bathrooms have deep bubbler tubs –with water jets, and oversized, and walk-in showers with rain-style shower heads. Other amenities include a casino and an outdoor performance venue, plus 3 outdoor pools, a gym, a wedding chapel, a seasonal ice rink and a full-service FedEx Office Print and Ship Center. There’s also an excellent spa with a hammam (Turkish bath). Tip: Las Vegas hotels no longer have in-room coffee makers, but, The Autograph and VIP lounges, at the hotel’s main entrance, offer complimentary coffee and breakfast treats. This dazzling vertical multi-tower designed bar houses three levels – Bottom, Inside The Chandelier [Level 1.5], or Top, with each offering a unique bar menu and experience under shimmering beaded curtains of crystals. Exotic and whimsical; Avua Prata Cachaca, Italicus Liqueur, Giffard Passionfruit, Black Pepper Honey, Apricot Puree and Spiced Coconut Foam. 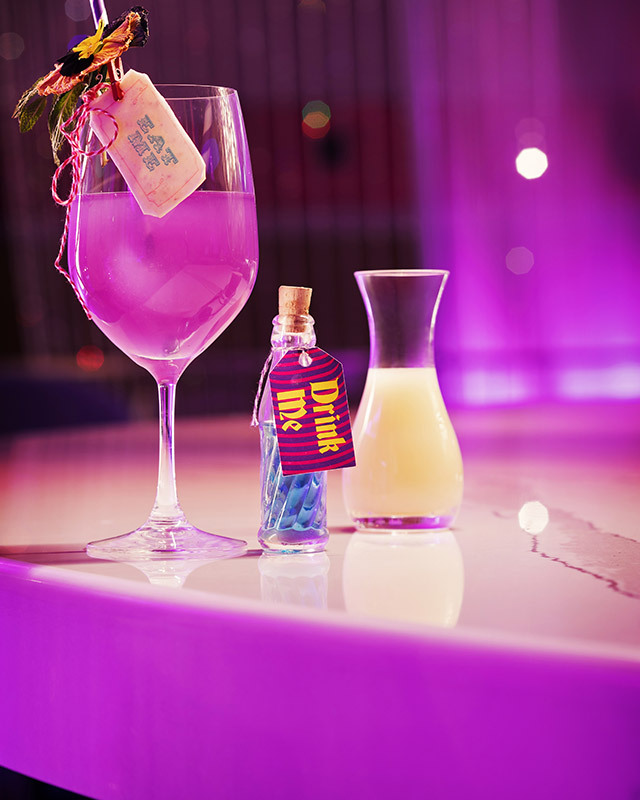 An ode to Alice in Wonderland, this blue colored drink will change colors once combined with its other ingredients, and, is garnished with an edible tag that will make your tongue tingle; Empress Indigo Gin, St. Germain Elderflower, Soho Lychee, Lemon Juice, Apple Rosewater and Chardonnay. 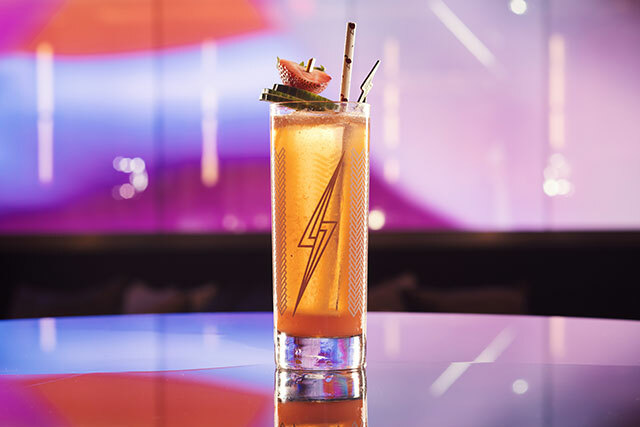 Order this off-the-menu cocktail, and your bartender will instruct you to eat the Szechuan flower bud garnish first, then, take a sip for an electrifying sensation. Shaken with Herradura Blanco Tequila, Yuzu-Calamansi Sour Mix, Ginger Syrup, and Lemon Verbena Leaves. 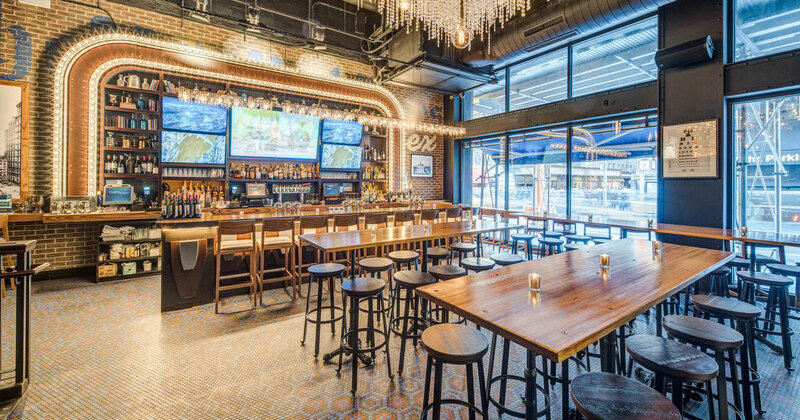 Hidden among the hotel’s collection of fast-casual restaurants at the Block 16 Urban Food Hall is the secret door entrance to the Ghost Donkey Mezcal & Tequila Bar, a dimly-lit and kitschy cantina. Tangy and muy spicy; Montelobos Mezcal, Avua Amburana Cachaça, Ancho Chile Liquuer, Mango, Coconut, Turmeric, Ginger, and Lime. Foamy and tart; shaken withTequila, Mezcal, Yuzu, Lime, Egg White, and Agave, with sprinkled with Hibiscus Salt. 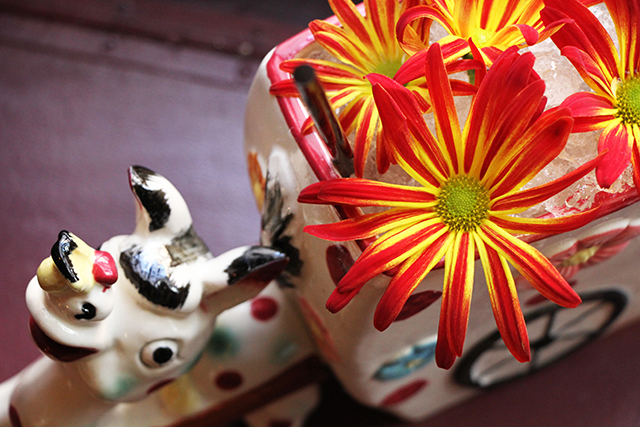 This large format, signature drink, for 2, is served in ceramic donkey; mixed with Peloton De La Muerte Mezcal, Aperol, Agave, Lime, Pink Grapefruit, and Chili. This Art Deco styled hideaway, with crystal chandeliers hanging above maroon u-shaped banquettes, serves handcrafted classic and champagne cocktails as well as off-menu creations. Cognac, Green Chartreuse, Champagne, and Bitters. 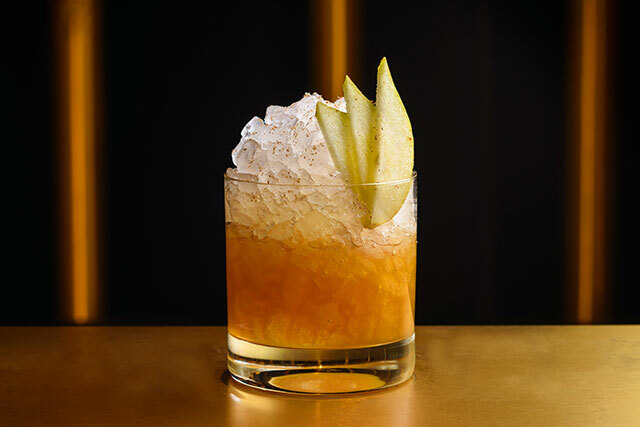 followed by the coffee-flavored Early to Rise, Colonial Julep made with Pineapple Rum, Mezcal-based Banco de Mexico, Don’t Mind If I Do made with Apple Brandy, and Prescription Julep – a potent combo of cognac and rye. Tip: Hidden on the mirrored columns between seating areas are four champagne call buttons, so guests to top off their flutes with the house champagne at the push of the button. 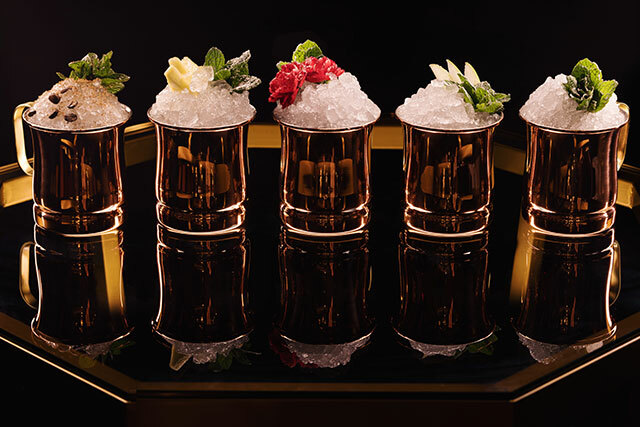 An avant-garde cocktail lounge and dance club in sparkling metallic colors, ranging from brilliant brass to rose gold, with large, tufted sofas and classic, yet eclectic, cocktails. Vodka, Sweet Vermouth, Fresh Cucumber, Lemon and Strawberry. Two Rums, Aperol, Fresh Lime, Curaçao, Orgeat and Underberg (German produced bitter). 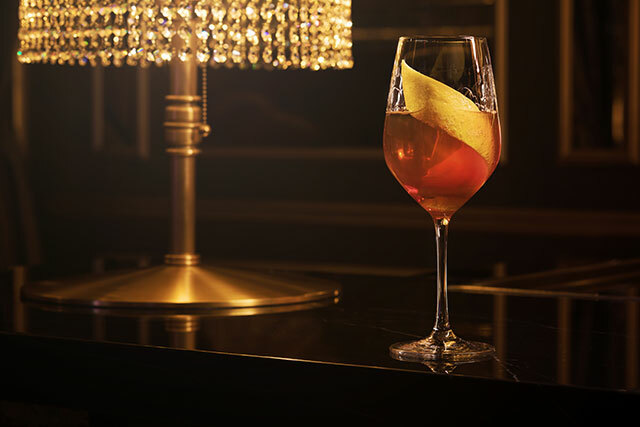 The Venetian’s posh lounge for craft cocktails, wines and punches – from partners, Sam Ross (Milk & Honey, Attaboy) and David Rabin (Cafe Clover). Bourbon, Fernet Branca, Fresh Pear, Lemon and Orgeat. Las Vegas’ Chinatown, west of the casino-laden Strip, is a vibrant three-mile stretch along Spring Mountain Road. Originally called Chinatown Plaza, it consists of a series of strip malls with ethnic Chinese restaurants and other pan-Asian businesses. An upscale Chinatown destination, celebrated Chef Brian Howard’s Sparrow + Wolf serves cocktails and craft beer along with innovative international bites in a stylish space. Like the kitchen, the bar mixes classic techniques with imagination; and the menu often changes weekly. 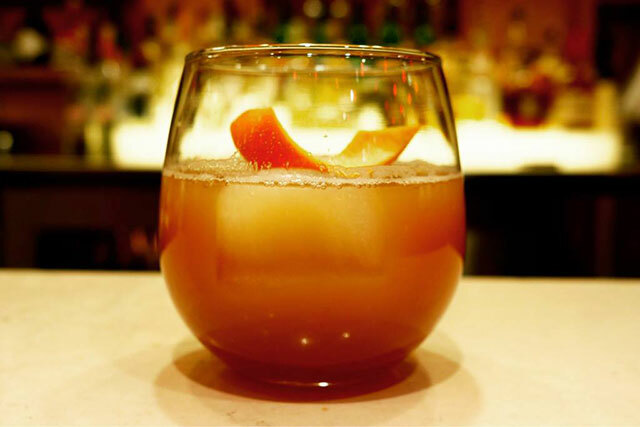 A rich variation on a classic spiced winter drink; Ketel One Vodka, housemade Mulled Wine Syrup, Lemon and Egg White. Flavorful and Negroni-inspired; Spring 44 Mountain Gin, Aperol, Mancino, Blood Orangecello and Carrot Juice; and garnished with up-cycled carrot peels. 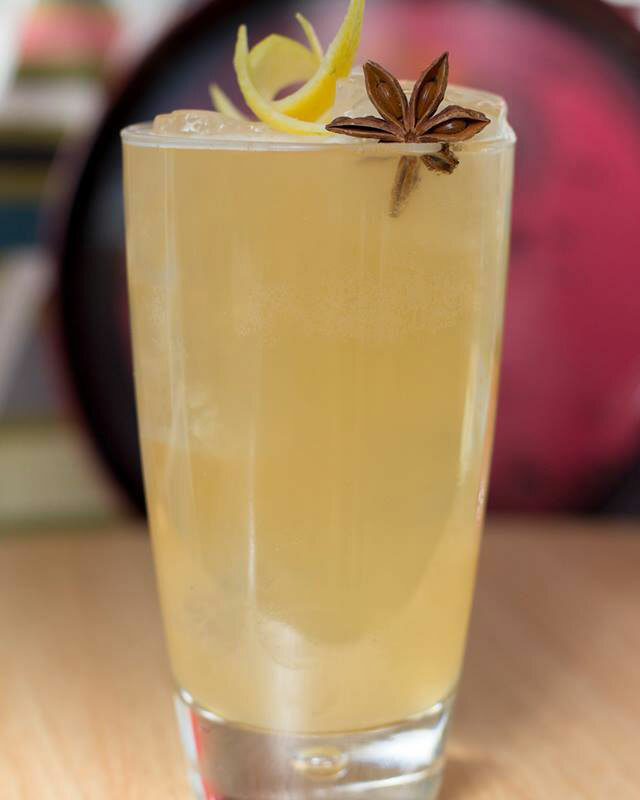 Zesty and herbaceous; Jameson Black Barrel Whiskey, Lemon, housemade Earl Grey – Ginger Syrup and Thyme Tincture. 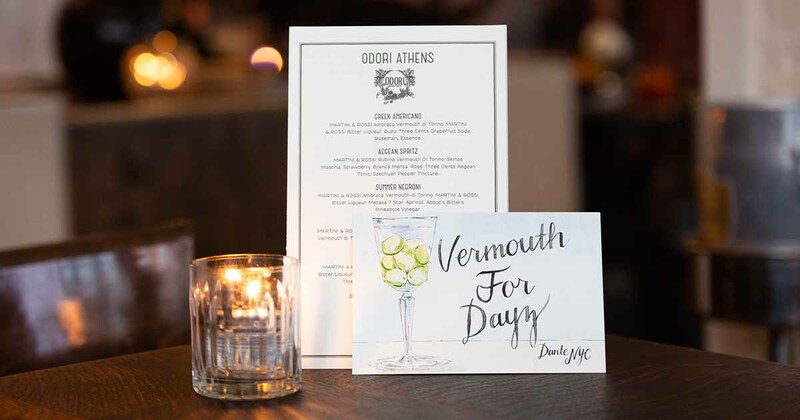 Savor the chef’s innovative menu items, such as the Duck Confit & Sweet Potato Dumpling -with Calabrian Chili in Five Spice Broth, or a Bento Box -a three tier selection of premium oysters, shellfish, cured meats, terrines and cheeses with seasonal condiments. Tip: Sparrow + Wolf’s bar has one of the very first Suntory Toki Highball Machines in the US – one part refrigerator, which stores the whisky and soda at constant cold temperatures, and one part carbonation tap, which pumps out super chilled, high-pressured soda water. The machine provides a Toki Highball on draft, with Champagne-like tiny bubbles, into a glass with a perfect ball of ice. The abundance of neon signs, like cowboy Vegas Vic, marks the location of Fremont Street in the heart of Las Vegas’ downtown casino corridor. The infamous Fremont Street the address for the Fremont Hotel and Casino, and was for many famous casinos such as the Golden Nugget. In addition to people-watching, you can also enjoy Fremont Street attractions, from the Viva Vision Light Shows displayed on the world’s largest video screen to flying over downtown, super hero-style, via the SlotZilla Las Vegas Zip Line. 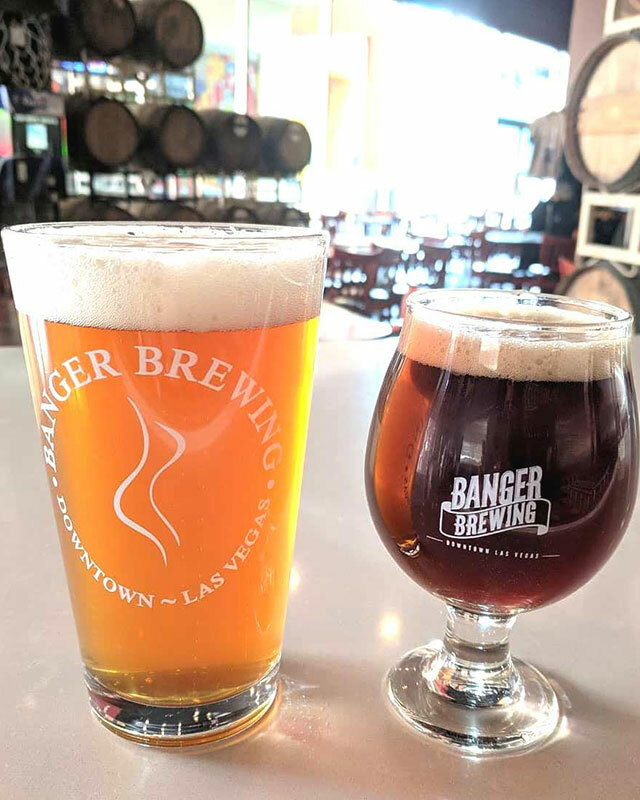 Grab a bar stool at this brewpub, located in the Main Street Station & Casino, and sample a flight of in-house microbrews shared with some comfort food. High Roller Gold – this light-bodied and malty Golden Ale is the brewpub’s most popular. Double Down Hefeweizen – a very refreshing German-style Hefeweizen with the flavor of Blood orange. Marker Pale Ale – a hoppy American Pale Ale with sweetness up front and mild bitter finish. Royal Red Ale – a malty and big-bodied American Amber ale hoppy in taste, but, with a strong caramel malt presence. Black Chip Porter – an English Porter with a small tan-colored head of foam, a strong coffee aroma and flavor, and a roasted dark malt and chocolate finish. Best bar bites to order include the nommy Ale Battered Portobello Mushroom Fries -fried in Triple 7 Pale Ale batter, and served with buttermilk ranch, or yummy Asian Street Tacos -soft corn tortillas topped with marinated grilled beef sirloin, finished with sesame cabbage slaw, fresh avocado and Sriracha cream. Head over to the Neonopolis, a mega shopping mall and entertainment complex, to find this craft brewery with a range of offbeat ales, including pepper and fruit infusions. 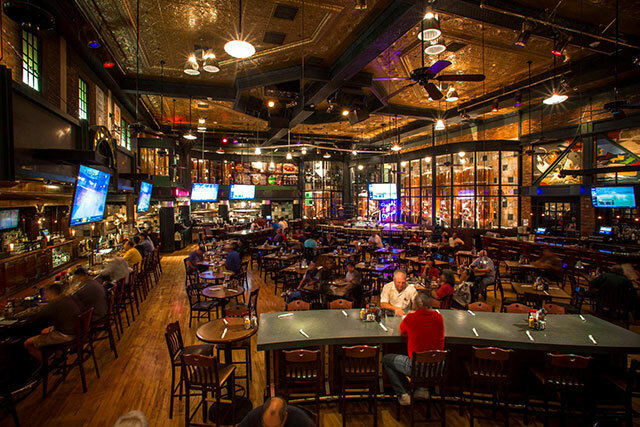 We suggest taking a tour of the brewhouse, then, sample some of their signature beers. Hop Culture Reference–a Single Hop IPA with orange and mango flavors, and a moderate floral bitterness. Morning Joe –Perfect for coffee lovers; this crisp Kolsch-style ale has been steeped with coffee beans for a cold brew coffee like finish. El Heffe –Jalapeno-infused Hefeweizen with an intense jalapeno aroma, and strong, yet, not overwhelming, spicy taste. 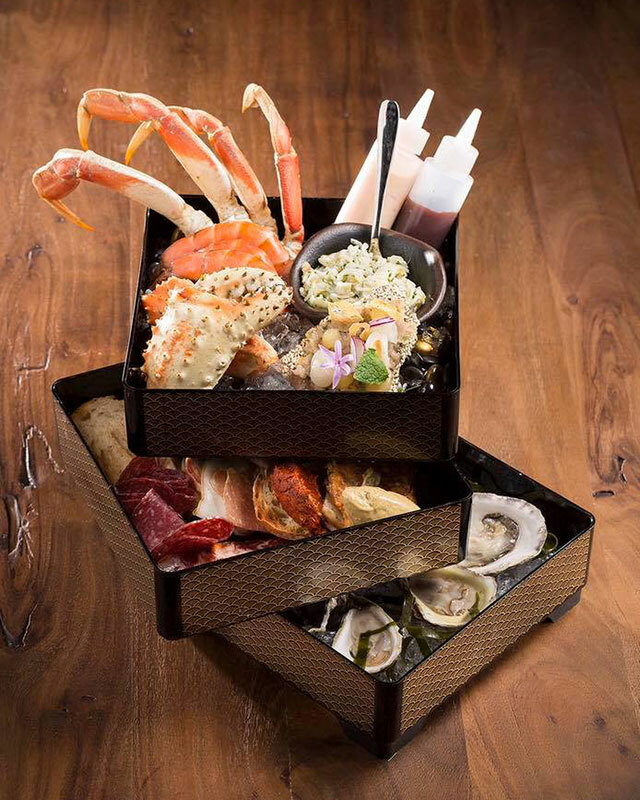 This luxurious and darken steakhouse, from famous restaurateur brothers David Morton and Michael Morton, is located inside the Hard Rock Hotel and Casino, but, has its own private valet entrance. 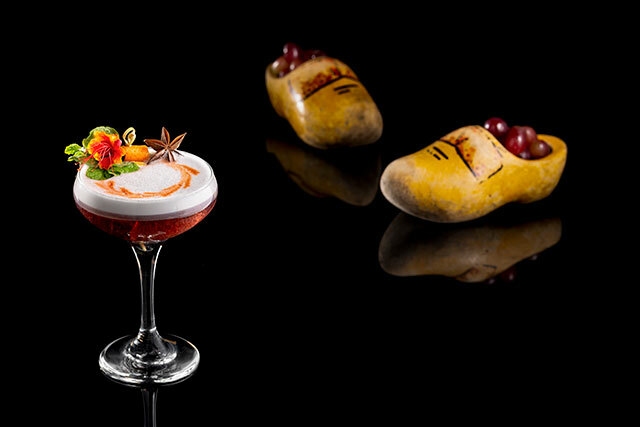 This is the place to be for exceptional cuisine, cocktails, wine and service. 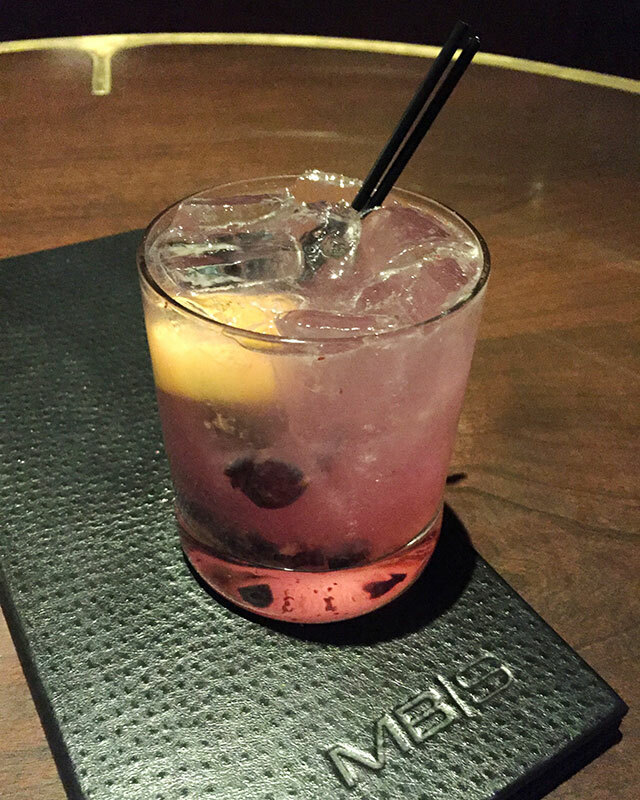 Elegant and tart; Empress Gin, Muddled Blueberries and Lemon, plus, fresh Lemon Sour. Definitely start with the scrumptious Grilled Maple Glazed Bacon -served with a poached egg. For your main, order the biggest Filet Mignon you can handled, -6oz, 8oz, or 12oz, along with a side such the delicious Roasted Brussels Sprouts. Enhance your beautiful steak with three optional sauces as well as crusts – Buttermilk Blue Cheese or Garlic Parmesan. Surf it up by adding butter poached Maine Lobster Tail or Seared Foie Gras. 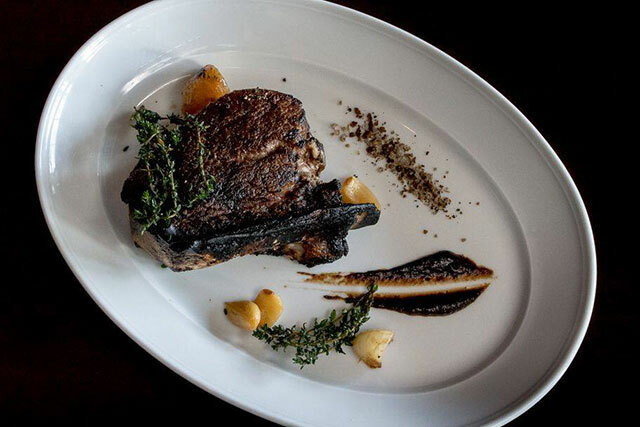 Our wine pairing recommendations, from MB Steak’s extensive menu, include Chapoutier Cotes du Rhone Belleruche Rosé and La Posta Pizzella Malbec. For a sweet ending, share the delish Layered Carrot Cake covered with spiced roasted pineapple and candied pecans, or, have a liquid dessert – a glass of 2014 Reserve Vidal Icewine from Jackson Triggs’ Niagara Estate Collection. 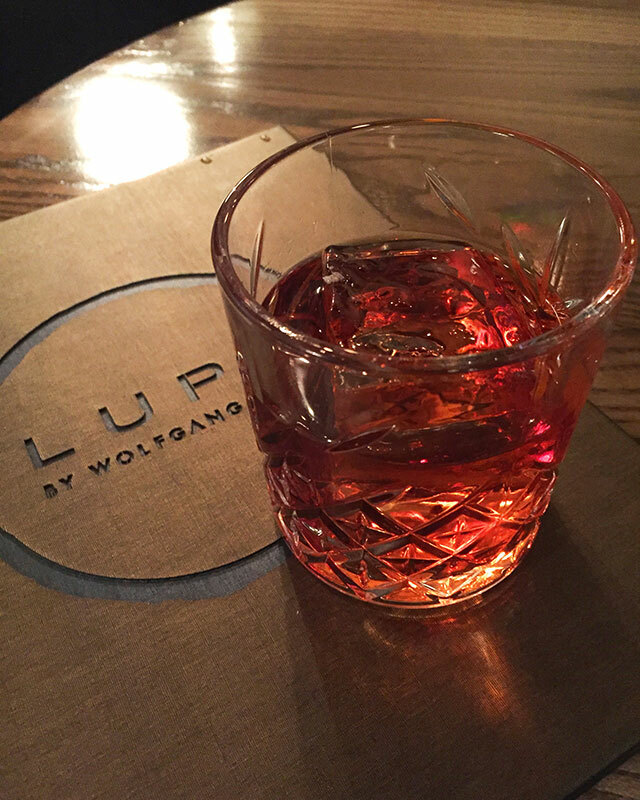 Lupo by Wolfgang Puck, the chef’s first Italian restaurant, features a spacious center bar, a glass-enclosed wine room, and dining room with leather banquettes. 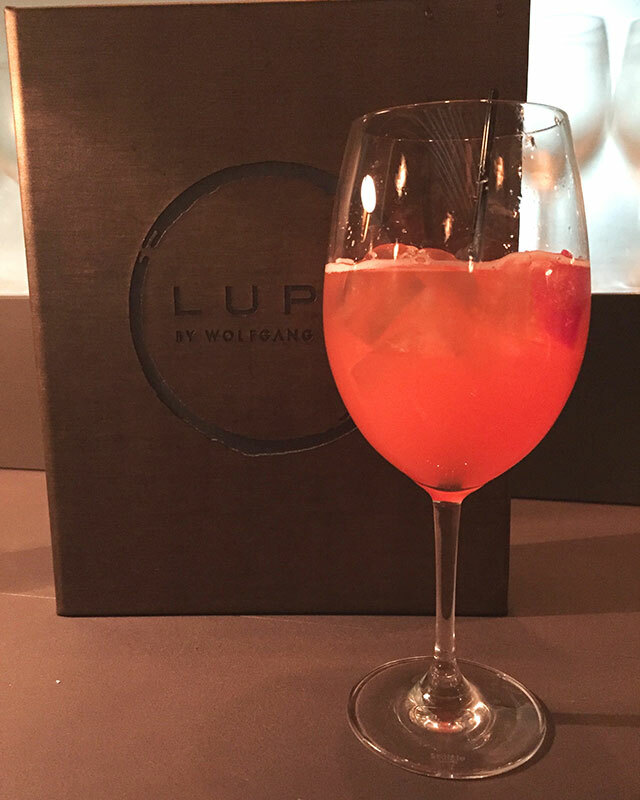 As part of Lupo’s tableside service, guests can watch culinary creations come to life, such as at the dessert station or a glass-enclosed area where fresh pasta is made. Refreshing and fruity; Doglia Moscato d’Asti and Strawberry-infused Aperol. Flavorful and spirit-forward; Fords Gin, Lemon Thyme-infused Casa Marteletti Sweet Vermouth, Montenegro Amaro and Campari. For your antipasti, do order the delish Grilled Bruschetta with Bean Puree, Marinated Tomatoes, Mortadella, and Parmesan Cheese. For Pasta, excellent options include the decadent Wild Boar Ragu or classic Linguine alle Vongole -Manila Clams, Pancetta, Chili, Garlic, Parsley, and Extra Virgin Olive Oil. Save room for the gorgeous as well as yummy Torta di Ricotta –a lemon ricotta and raspberry cheesecake topped with housemade ice cream –with a chilled glass of Limoncello. Beloved Chef and Restaurateur, José Andrés’ was fascinated by the history he found connecting China and Mexico, two countries whose vibrant flavors and culinary techniques he has always admired. 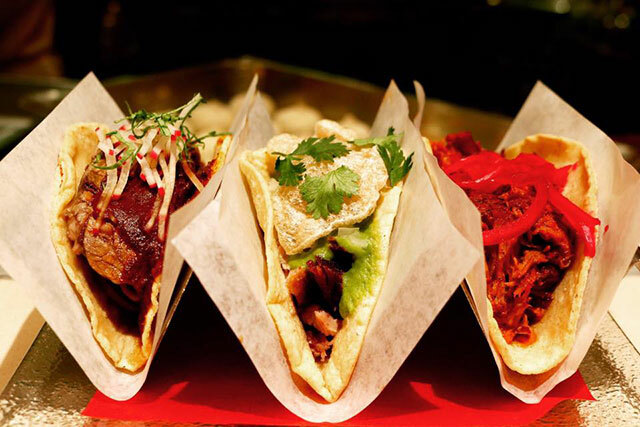 At China Poblano, he brings these two cuisines together in one place to offer noodles, dumplings and tacos –and tequila. 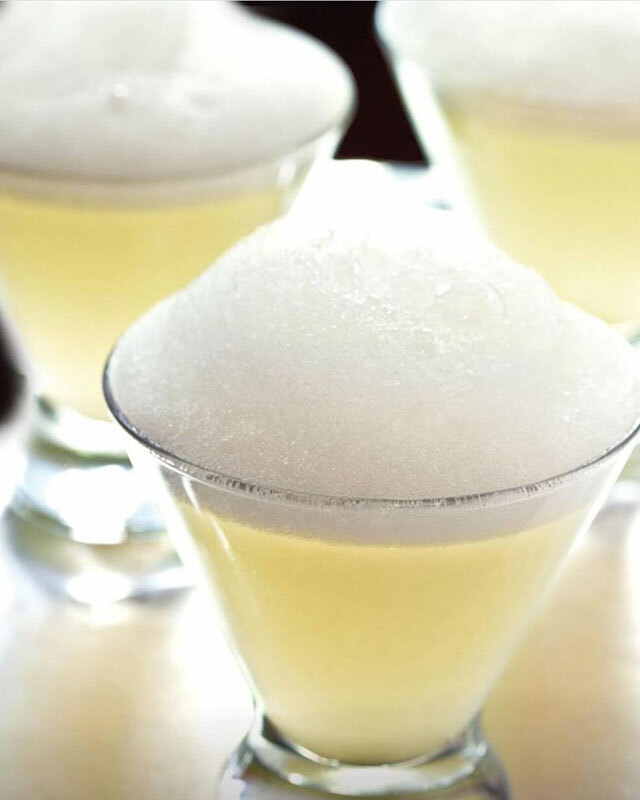 José Andrés’ personal creation; Premium Tequila Blanco, Fresh Lime, and molecular Salt “Air”. Optional, add Pomegranate Juice. Del Maguey Vida mezcal, Campari, Aperol, and Yzaguirre Rojo (Red Vermouth from Spain). Cazadores Reposado Tequila, Jasmine Green Tea, Chinese 5-Spice Blend, and Negra Modelo Beer. Old Overholt Rye Whiskey, Star Anise, Ginger, and Yuzu. Pair with street tacos, such as Carnitas -mouthwatering braised pork wrapped in a fresh, house-made soft corn tortilla, topped with salsa verde cruda and crispy chicharrones (pork rinds), or Twenty-Vegetable Fried Rice –a combination of fresh, seasonal vegetables for a modern twist on the traditional Chinese dish. Tip: For lovers of the Agave spirit, this is the spot to try a tequila or mezcal vertical flight – three expressions from a single producer, or the lesser known, exotic agave spirits, such as Sotol, Raicilla, Bacanora and Pox. 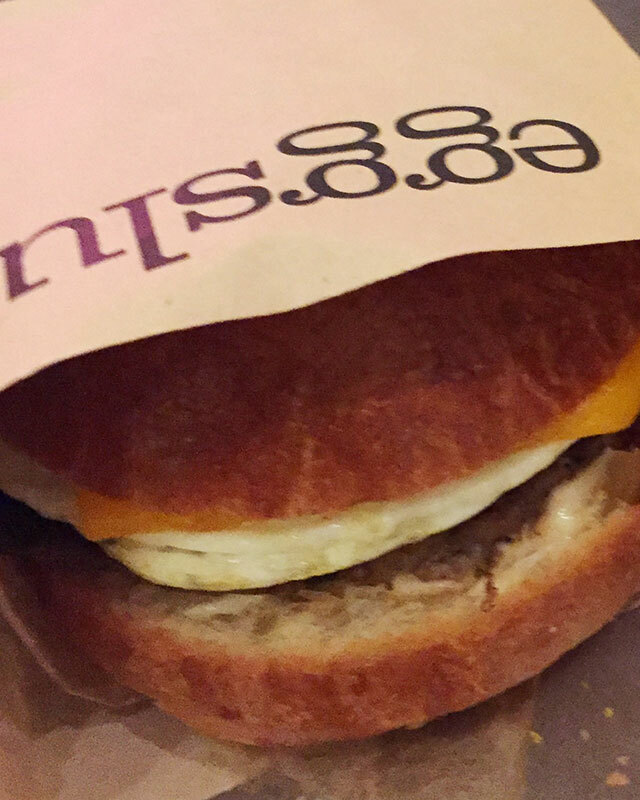 For egg-centric comfort food, join the worthwhile, long line at Eggslut at The Cosmopolitan for one of their signature sandwiches and fresh squeezed orange juice. Grab a seat at the high-top bar to immediately devour your deceptively simple, delish breakfast sandwich, such as Bacon, Egg & Cheese -made with hardwood smoked bacon, an over-medium egg, cheddar cheese and chipotle ketchup, served in a warm brioche bun. 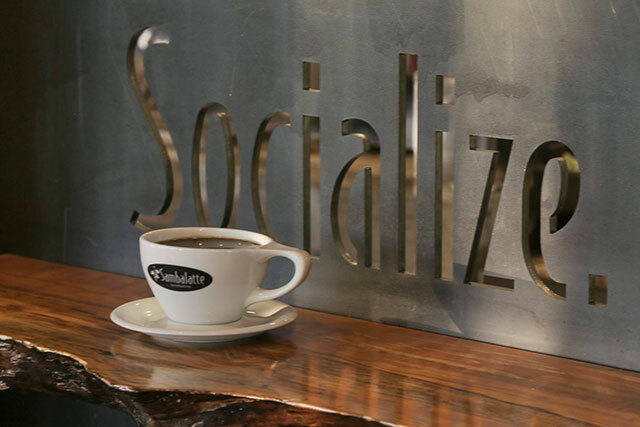 For an exceptional cup of coffee and socialization, venture to Downtown Las Vegas’ Smith Center to Sambalatte’s fourth location. This inviting cafè lounge and espresso bar imports its coffee beans from Brazil, and roasts them in the US. Our Italian-born barista prepared a delish Nutella Cappucino and a seasonal Cinnamon Spice Cocoa –made with chocolate, steamed milk, Cayenne pepper and cinnamon. For a light breakfast, choose a petite quiche or pastry. Afterwards, stroll across the street to enjoy the sculpture art pieces displayed on the grass lawn of the Symphony Park. The National Museum of Organized Crime and Law Enforcement, aka The Mob Museum, is housed in a restored neoclassical post office-turned-courthouse building in Downtown Las Vegas, near Fremont Street. The history museum’s three floors provides an interactive journey via exhibits, artifacts and historical videos to reveal the true stories about made men and their associates, which included iconic celebrities and famous politicians. 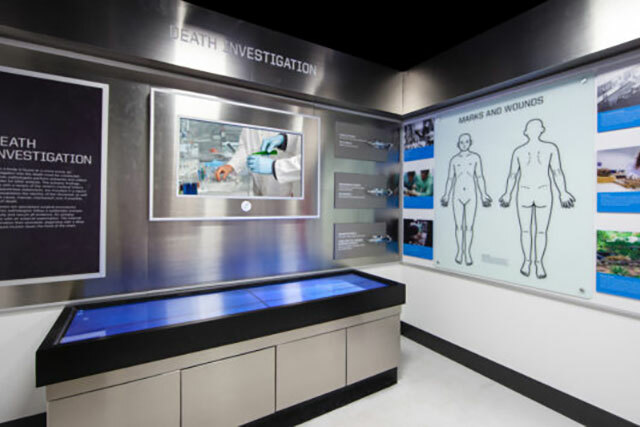 Do purchase a separate ticket for the very cool Crime Lab Experience, a hands-on, multimedia exhibit that allows guests to work as crime scene investigators by analyzing fingerprints, profiling DNA, and examining bodies to determine cause of death. 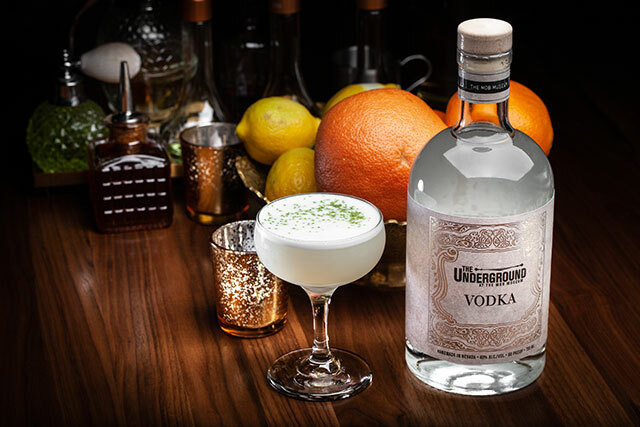 Then, celebrate your crimes solving victories with a visit to the museum’s Underground Speakeasy and Distillery. Rye, Cherries, Citrus, Spices and Rock Candy. Vodka, Elderflower, Grapefruit, Egg White and Basil. Enter the Sahra Spa through a dramatic hallway of natural slot canyons walls to where the calming sounds of falling waters marks the entrance to the spa’s serenity lounge. Sahra Spa offers a wide variety of massage treatments and bath experiences as well as skin care and body services. The 50-minute Mona Lomi Massage Treatment is an excellent choice recover from your excesses. Based on Hawaiian healing concepts of the body, mind and spirit, this hands-on massage treatment is deep, yet immediately soothing. Great extra features included a table that elevates your legs to alleviate stress to your back, a heated neck roll, and a lightly scented eye mask. Before your treatment you are given a secure locker, thick robe and sandals, and, afterwards, there are private showers with towels and shower amenities provided. The spa offers bottled water, a selection of hot teas and a variety of snacks, including whole fruit, granola, and trail mix. 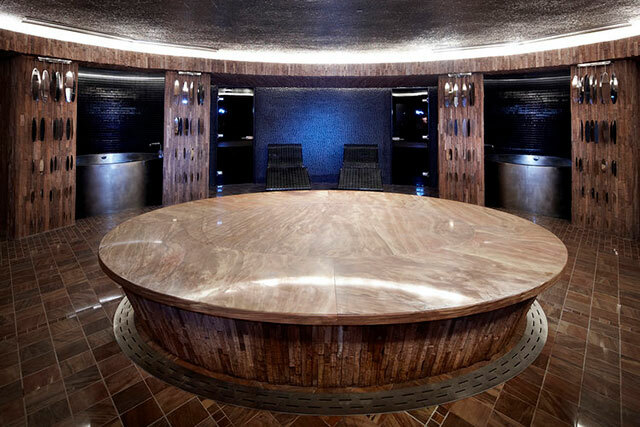 Tip: Plan on staying after your treatment to use the hammam room, which contains the heated motherstone slab, two whirlpools, steam rooms, and stone loungers.